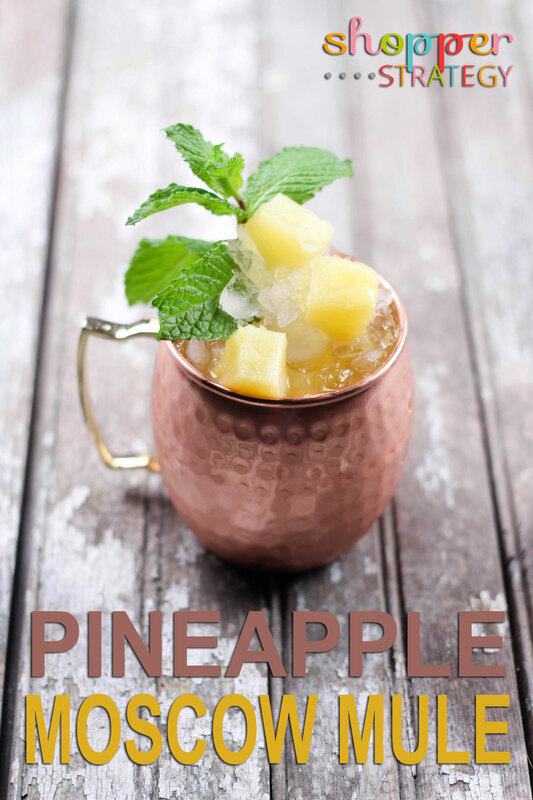 Light and flavorful without being too sweet, this Pineapple Moscow Mule recipe is so refreshing and delicious that it will probably become your new favorite drink too! 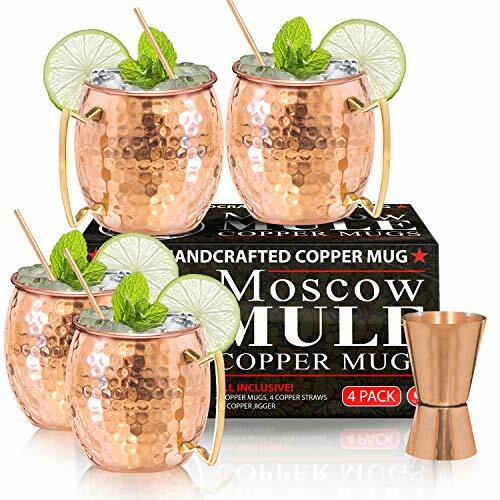 In a copper mug combine mint syrup, vodka, ginger beer and pineapple soda, then stir. 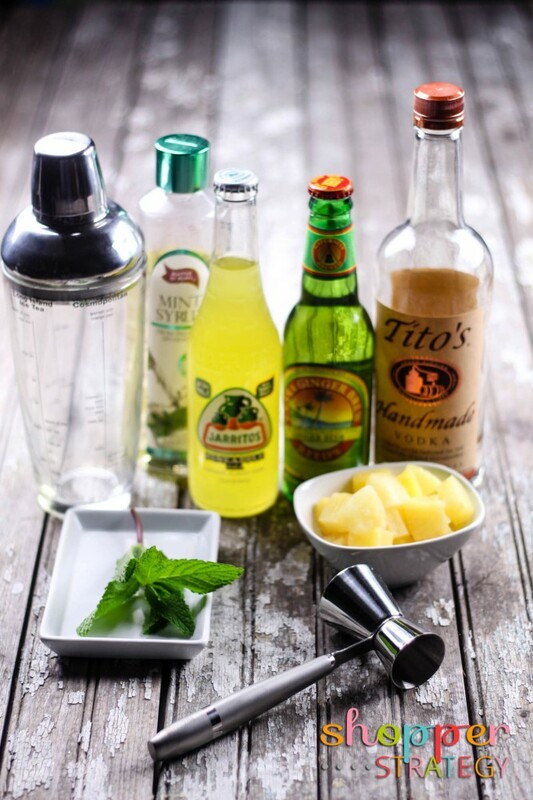 Add crushed ice and pineapple chunks.